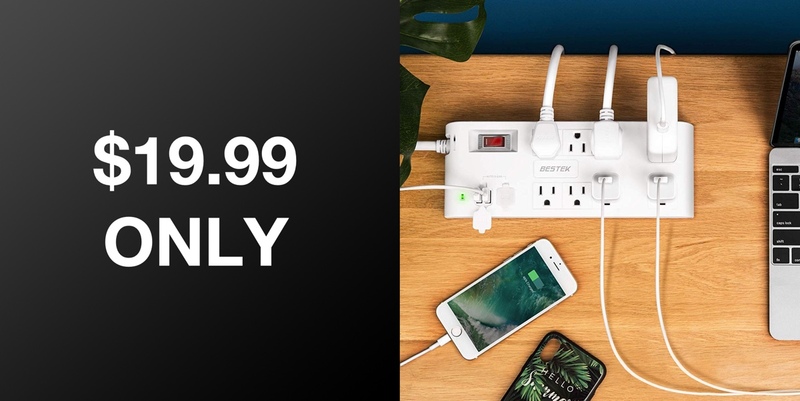 Grab a surge protector with 8 AC outlets and 4 USB ports for a price of just $19.99 to take care of all your charging and powering needs. Nobody ever has enough places to plug their electronics into. It’s just a fact of life as 2019 draws ever closer that there will never be enough power outlets in a room for us to charge, or plug in, all of our hot new gadgets. Once you come to terms with that, you can move on, but it’s doesn’t mean that you have to also admit defeat. There are, thankfully, plenty of ways to turn a single power outlet into many, and we have one right here that not only turn that outlet into eight, but it also has some USB ports thrown in for good measure. 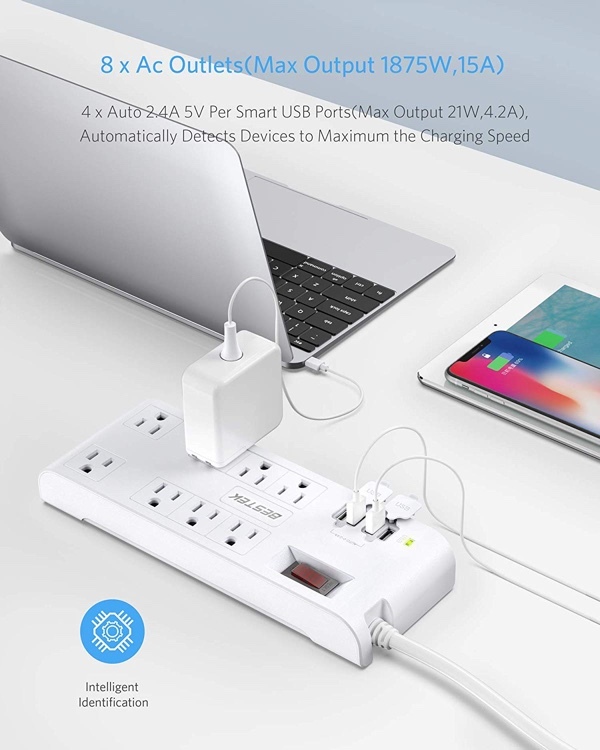 We’re talking about the BESTEK 8-outlet surge protector, with this power strip also making four USB charging ports and a 6-foot cable, meaning you should always be able to charge your things wherever you need to, no matter where the power outlets are situated in your home. You can even mount this thing to your wall or baseboards thanks to the mounting holes around the back. If you like to turn things off with the flick of a switch, you’re good to go here. A single switch cuts power to all of the outlets, and there’s an integrated circuit breaker to take care of any potential circuit overload, too. All this can normally be yours for $25, but right now if you enter code QI77LYCW at checkout, this can be in your home for just $19.99. Thats a healthy saving on something were pretty sure anyone and everyone can make use of.